By 1833 the growing workforce at Armstrong's, Hawthorn's and Stephenson's industries on the riverbank had reached 20,000 and they all needed homes. 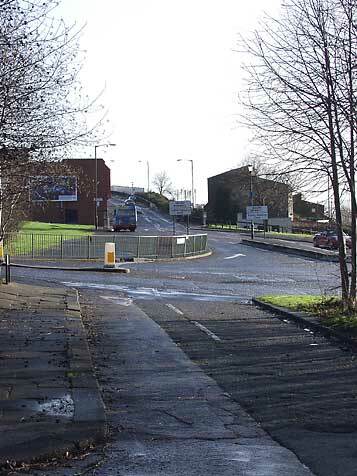 The space between Scotswood Road and Buddle Road, named after John Buddle (1773-1843) a mining and railway engineer, was chosen for a new housing estate. William Glover was retained as architect and he laid out ten parallel streets with Atkinson Road, the most westerly being of higher quality. Clara Street, pronounced klah-rah, was the widest central route, and all were named after members of the Buddle and Armstrong families. The housing was demolished in the early 1970s. 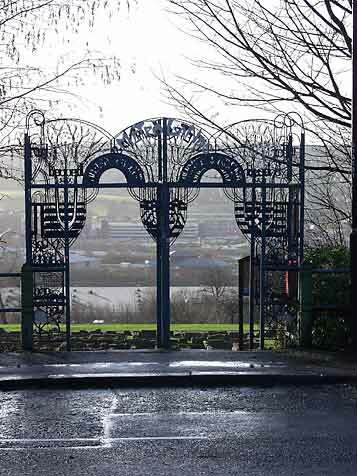 The view above is of Aline Street, at the western edge of the estate, near the school. 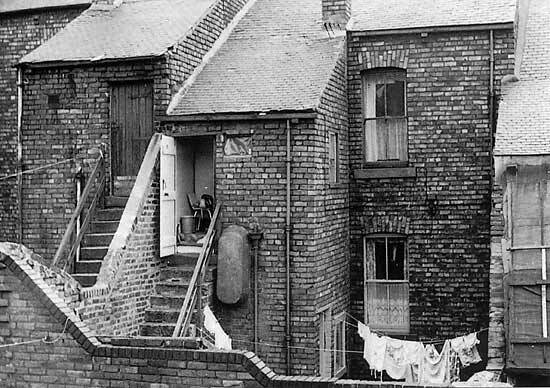 Shot in 1964, this view shows the tin bath hanging outside waiting for its weekly trip indoors, usually on Fridays, for a bathnight in front of the fire in the kitchen. Dad would go first, followed by mum and then the kids would be dipped into the tepid soup! 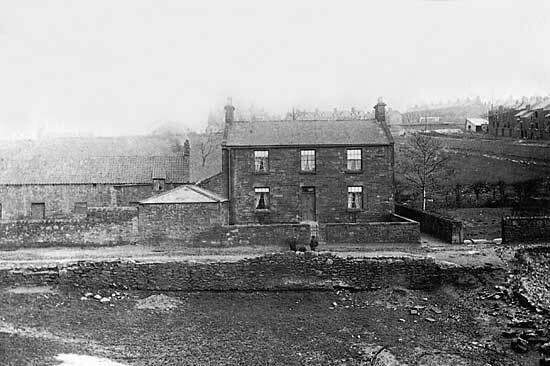 Aline Street has long gone but was located where the housing ends on the left of the photo right. This is Buddle Road looking west. The green area beyond the left housing is where the school stood until 1997 when it was demolished. 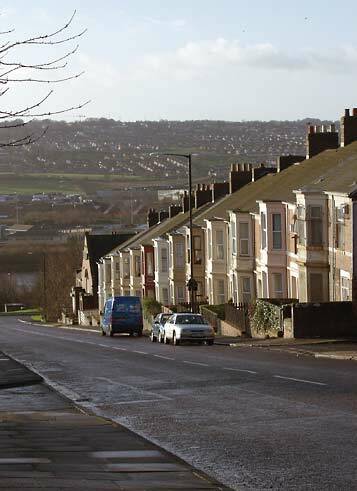 The housing on the right was erected by The Guiness Trust in 1983, that on the left by the local Council. North of Buddle Road runs Armstrong Road, and is intersected by the steep hill of Atkinson Road. Here at the north east part of the junction stands the old Police Station. 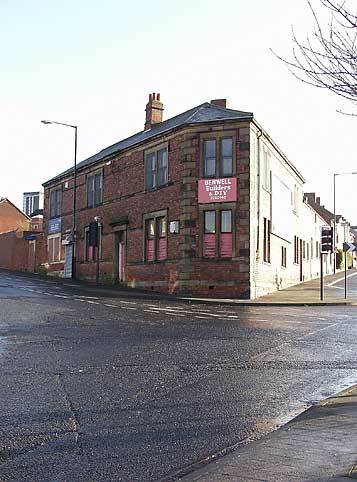 It is now a building supplies depot and has been in part a Boys' Brigade and Sea Scout meeting place. During the 1890s the streets from the south were extended north from Buddle Road to Armstrong Road and then on to Adelaide Terrace. There still exists a old road called Pipe Track Lane that was maintained in this building project. This lane runs diagonally from the junction pictured here to the eastern part of Buddle Road. 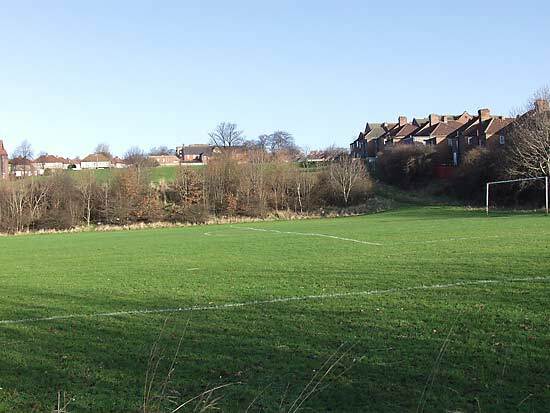 Since the clearance, this is the location of Benwell Nature Park. 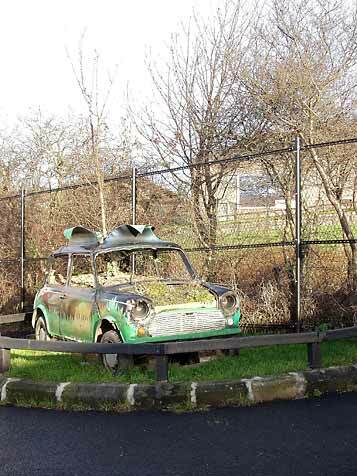 That new use for the mini car pictured at the top the page is at the entrance. 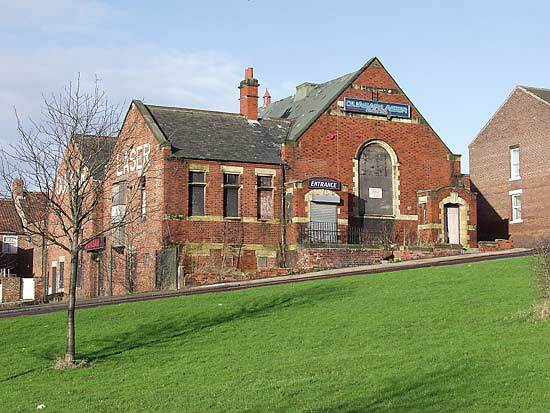 Although the South Benwell School has been demolished at the southern end of Atkinson Road, the schools at the top of the hill have survived. 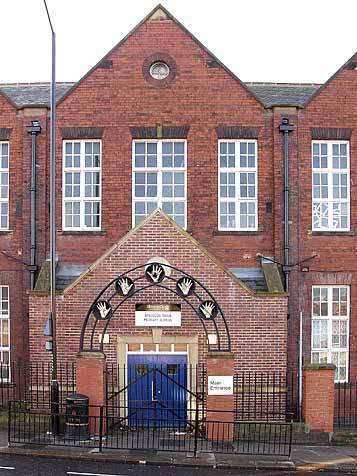 This modern entrance on Armstrong Road leads to the main senior building. Two others catered for infants and juniors, but the three are now combined into Infants and Juniors. The fourth building in the complex is the caretaker's house on the road junction. The steep Atkinson Road runs south from the Condercum Road Adelaide Terrace Benwell Lane junction to Whitehouse Road in the south at Paradise. 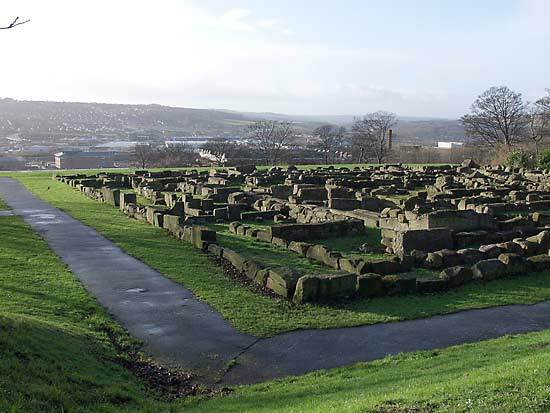 The residents of this area were treated to some spectacular views across the valley and into the Derwent valley opposite, but because of the density of the housing the views from the parlour windows was drab brick. The finer houses were on the edge of the development and are those that remain on the western edge of Atkinson Road. Not salubrious by today's standard, these flats have been converted with the addition of offshoots to the rear to accommodate indoor toilets and bathrooms. The gas lighting has long since been replaced with electricity, and many of the original sash windows have been replaced by double glazed units to prevent draughts. Towards the bottom of the hill stands Paradise Church. This Wesleyan place of worship has not resounded to fire and brimstone sermons for many years and is now disused after a period as a shoot 'em up gallery. Its darkened interior contained a maze around which shooters aimed their laser zappers at each other. Here at the western end of Buddle Road is Egerton Street and the entrance to the long gone Benwell West Pit. The mine closed years before the houses went up and even today the land remains unused; the mine shaft presents an unstable foundation. Below is a 1920s view of Paradise Row. The pit was located behind the houses. Further west was the Tanneries. The Priestmans ran a leather works from 1843 until Joseph Swan took it over for his electric lamp factory. This changed again in 1886 and became the South Benwell Motor Cycle Works. This was converted to a modern industrial estate in the mid 1970s. Today's view is from where the figures stand on the road in the old picture, from a lower vantage point. To the north on Armstrong Road lies the 1931 St. Joseph's R.C. church. Its strange Moslem shape is out of place here and it replaced a more traditional building on the opposite side of the road adjacent to the Catholic school. The school still exists and the old church building is just visible on the horizon of the old photo of Paradise Row above. Beyond the church to the west lies Hodgkin Park. It is in two parts sliced by Armstrong Road. The smaller northern portion, called by locals the "Top Park" had a sports pavilion and a tree lined bowling green. Hodgkin Park Road skirts the eastern edge and was built in 1927. 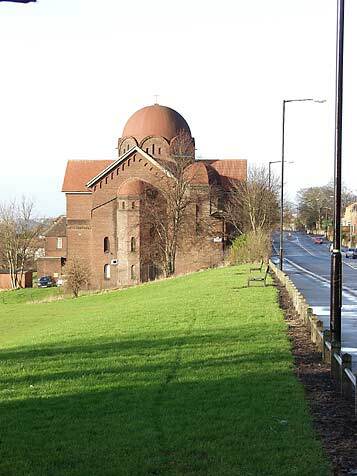 The land was donated to the then Benwell Urban District Council in 1899 by banker, Thomas Hodgkin with the condition that alcohol be banned in the park. The lower and larger portion of the park has this welcoming gate, recently erected to a competition winning design from local ideas. Just inside, the bowls green has now been laid out as a low level maze with old building stones. I like the idea of the maze, and I can see how a full height stone maze may have been a haven for dissolute criminal youth. A full height hedge maze would present a costly maintenance bill for the Council. This maze suggestion is neither fish nor fowl and I wonder why anyone bothered. 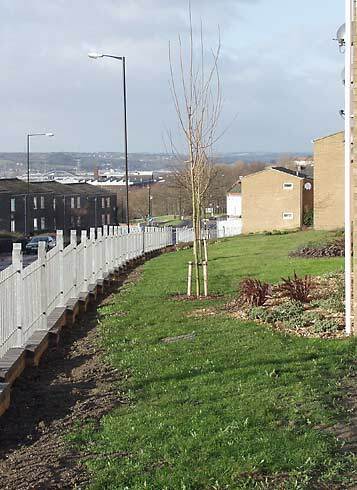 There are fantastic river valley views from South Benwell. 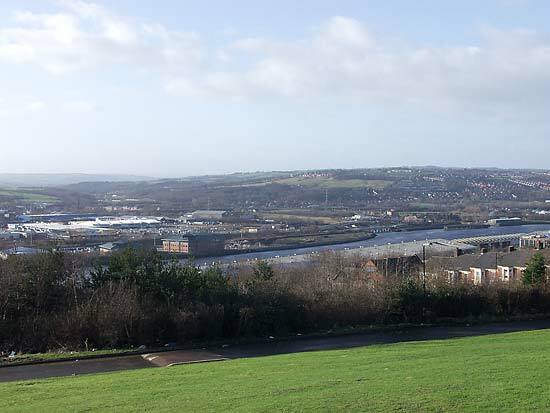 The lower picture shows the Derwent valley joining the Tyne at Swalwell and distant Blaydon from just above Pipe Track Lane, now provided with speed humps.